Nanthi Bolan is a Professor of Environmental Chemistry at the University of Newcastle, Australia. His teaching and research interests include agronomic value of manures, fertilisers and soil amendments, soil acidification, nutrient cycling, pesticide and metal pollutants interactions in soils, greenhouse gas emission and waste and management. Nanthi serves as the Leader of Program 3 (New Soil Products) of the Cooperative Research Centre for High Performance Soil (Soil CRC). 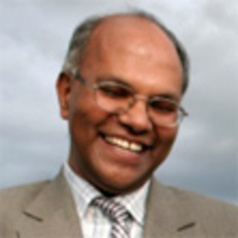 Nanthi is a Fellow of American Soil Science Society, American Society of Agronomy, and New Zealand Soil Science Society. He has supervised more than 40 PhD students and was awarded the Massey University Research Medal for excellence in supervision. He has published more than 300 papers and served as the Associate Editor of Journal of Environmental Quality and Critical Reviews in Environmental Science and Technology.